Being more than three decades of age, UNS continues to struggle and bear a hard mandate: to increase the nation's intellectual life. Various activities have been carried out and many accomplishments have been achieved. Currently, UNS has grown and developed into one of the outstanding universities in Indonesia. In the future, UNS is expected to develop as a leading university in education, research and community service, both at the national level inline with the earlier developed colleges and at the international level, as a university which is capable to act autonomously as a world class university. Currently, UNS is constantly developing itself to compete in acceleration development program in the field of: a) access equity and expand; b) improvement of quality, relevance, and competitiveness; and c) improvement of governance, accountability, and public image. As the Faculty of Medicine in Indonesia, for educational activities students use General Hospital "Surakarta" who is now a District General Hospital (Hospital) Dr. Moewardi Surakarta which is a teaching hospital, based on the Decree of the Minister of Health, Minister of Home Affairs and the Minister of Education and Culture. You will be placed in a student hostel or hostfam. If you have some special needs please let us know in advance and if possible we will try to fulfill them. We also provide you accommodation; you will live in a student hostel near the hospital. You will only need to walk for about 3-5 minutes from your student hostel. The facilities of student hostel are bed, table, chair, bathroom; some hostels provide air conditioner, etc. Adisumarmo International Airport (IATA code: SOC) has direct flights to Kuala Lumpur by Air Asia and during the haji season, Saudi Arabia, as well as regular flights to Jakarta by Garuda Indonesia, Sriwijaya Air, Lion Air and Citilink. The airport is located 14 km north of the city. Since May 2011, BST (Batik Solo Trans) buses connect the airport to the city. There is also taxicab service. In 2009 Adisumarmo had 2,060 outbound domestic flights and 616 outbound international flights. Surakarta has four train stations, Solo Balapan, Purwosari, Solo Jebres, and Solo Kota (Sangkrah). Solo Balapan is the largest station in Surakarta, and is the junction between Yogyakarta (westward), Semarang (northward), and Surabaya (eastward), while Purwosari is the junction located west of Solo Balapan, and has a connection to Wonogiri (southward). There are several direct lines to other cities, such as Jakarta, Bandung, Surabaya, Semarang, Madiun, and Malang. For regional traffic, a special train connects Surakarta and Yogyakarta, the Prameks (Prambanan Ekspres) train. In July 26, 2011 the Railbus has been launched to serve Surakarta/Solo-Wonogiri route, but for the moment only Solo-Sukoharjo trackage was ready due to there are 99 bridges should be strengthen between Sukoharjo-Wonogiri. Until April 2012, Surakarta-Wonogiri railbus is still in a big question mark due to the 12 tons railbuses are considered too heavy for existing railroad track that only has the capacity of accommodating 10-ton vehicles, furthermore PT KAI have proposed a fare between Rp30,000 ($3.27) and Rp40,000 ($4.36) per passenger, while Surakarta administration wants tickets to be priced much lower between Rp5,000 ($0.54) and Rp7,000 ($0,76). Tirtonadi Terminal is the largest bus terminal in Surakarta. Surakarta is situated on Indonesian National Route 15, which connects it to Yogyakarta and Waru (Sidoarjo). A Semarang-Solo Toll Road is currently under construction. In 2009 the total extent of roadways in the city was 705.34 km: 13.15 km state road, 16.33 km province road, and 675.86 km local road. The number of bus companies was 23, and the total number of buses operating was 1,115 intra-provincial buses and 1,107 inter-provincial. In 2010, the government of Surakarta launched a new bus route named Batik Solo Trans (BST), which resembles TransJakarta bus rapid transit service. It has only two routes, the Departure Route (Adisumarmo Airport – Kartasura – Palur) and the Return Route (Palur – Kartasura – Adisumarmo Airport). A single trip costs Rp.3000, Rp.1500 for students. A special ticket for the trip from or to the airport costs Rp.7000. Taxi is the easiest way to go around. It is cheap, and you can even book it for the whole trip. You can negotiate for the price. Ask in your hotel reception if they can arrange one for you. Or they may also have a car to rent (mostly including the driver). If you want to take taxi you can take Gelora Taxi (0271-731555), Kosti (0271-856300) etc. Becak (traditional pedicabs) are an entertaining way of seeing the city, albeit quite slowly. Expect Becak drivers to quote prices inflated to at least 3 times for the average tourist. When you come to our city, we will prepare you a welcoming dinner, there will also be cultural night where the incoming student present your dance, song or story about your country. In the end of your clerkship if it’s possible we will also hold a farewell party. Yogyakarta is not really far from Solo, it only takes about 2 hours by car. There, we can visit Prambanan Temple, Borobudur Temple, have rafting together on Elo river or cave tubing in Pindul Cave. Your weekend in Solo will be so much fun, educative and exciting! Keraton Kasunanan. Palace of the Pakubuwono Kings. 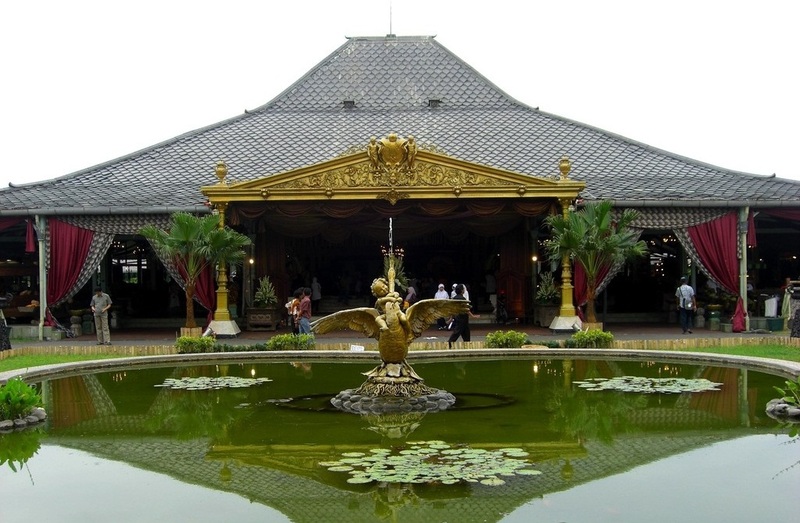 A large and beautiful palace built in 1675 that combines traditional Javanese and classical European styles. Facility: museum, art and cultural centre. Puro Mangkunegaran. Palace of the Mangkunegara Princes. A beautiful palace built in 1757 with an awe-inspiring main audience hall. Facility: museum, art and cultural centre. Entry fee: Rp 15,000, photo fee Rp 3,500.